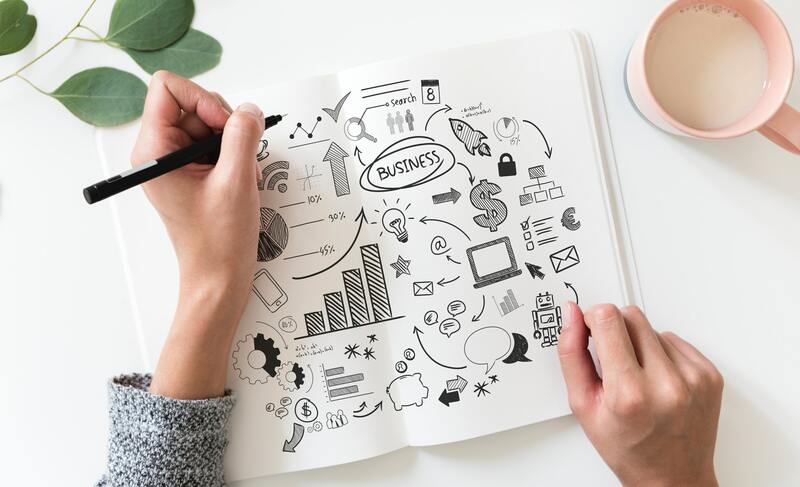 With all the difficulties of setting up a business in the first place and with how saturated the market is, you’re certainly busy as a business owner. But you can’t be too busy to think about the future, set up a plan for your business, and figure out how to grow your business this year. Organic growth can happen, of course, and if you’re just starting out and at the beginning of your journey, you’re probably just focusing on making it to the next day, momentarily. But while your business can naturally grow and expand, the only way you will achieve impressive results is if you create some motivation – for yourself and for your team. Set a goal for yourself – perhaps, separately from the official goals for your business that you can work towards. Just working your hardest and seeing where you end up is great, but if you want to give yourself that extra push, set a specific goal. It can be anything, from a certain amount of money to a certain number of followers on social media, a specific growth percentage, etc. The important thing is for you to always have this goal in mind and work towards it at all times. It’s what you should focus on, and you will see that by the end of the year, you will have achieved more than you ever did before. I don’t know how much attention you normally pay to your surroundings and working environment, but if you’ve been neglecting this part, allow me to point out that it’s a massive mistake. You see, your office space can actually be one of the key aspects that help your business grow. You wouldn’t think it, but your office space is essentially the physical representation of your fledgeling business. It’s what clients and customers see when they come in, it’s what your employees experience and it’s what you experience as well. It’s the living, breathing business card for the outside world. The way your office looks and its positioning can help, or it can damage your image. That’s why you need to think carefully and plan strategically. Having a modern office space, in a coveted location places your business among other thriving companies and gives the right impression – that your business is worth noting, that you are here to stay, and that you are a young, modern company. You look good, your work is impeccable, and your employees are geniuses. What more can a client want? Plus, a pleasant working environment can actually positively contribute to employee morale, satisfaction, and productivity. Everyone would rather work in a space that inspires them. When you are working hard on aggressively growing your business, you need to take any tip and any trick you can get. Especially in this market, in 2018, always paying attention and being plugged in and aware of trends – even fleeting ones – can be the secret to your growth and success. You want to show that your business knows what’s going on, is up to date with the latest news, the newest developments, and is quick to jump on the bandwagon and make use of the newest technology to improve their product or service and offer your clients the best of the best. That impresses clients and it capitalises on the popularity and buzz that is already generated by a recent development in the industry. It’s why companies love hiring young, hip talent – they not only know what is going on, but they are the creators and the followers of the trends. As long as you have a team that knows what’s what, you will always be able to use that to grow your business further. In conclusion, you can help your business grow in more ways than one. The most important thing is for you to be keen and to pay attention to how you can help your company achieve its potential. Even things that seem superficial, such as your office space can contribute immensely to its growth. You can also make a plan and keep your eye on the prize to achieve that ultimate goal. And don’t forget to keep your ear to the ground for new and emerging trends that you can capitalise on. More on growing your business and an ideal office space.